Andrea Eye Qs Eye Makeup Correctors Come To The Rescue Of Eye Makeup Mishaps. 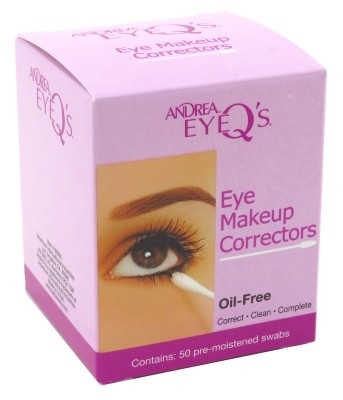 These 100% Cotton Swabs Are Pre-Moistened With An Oil And Fragrance-Free Cleanser. The Gentle Formula Leaves No Greasy Residue And Is Ideal For Contact Lens Wearers.